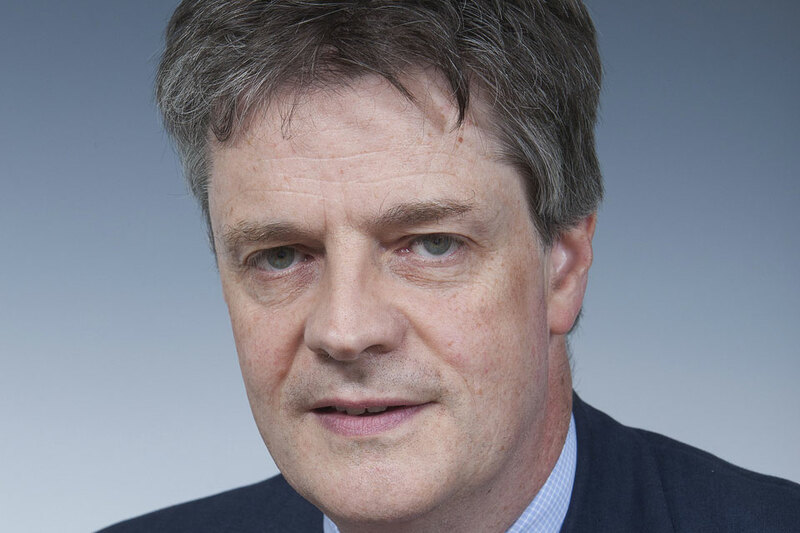 The Parliamentary Under-Secretary of State for Schools talks about the impact the Government's educational reforms will have on sixth form colleges. putting in place rigorous standards and accountability. Since then we’ve started overhauling the 16-to-19 funding system, had the Spending Review in October, and published our White Paper yesterday. So it seems a good time to come here today to bring up you to date on where we have got to. But I want to start by paying tribute to all of you, for your hard work, commitment, passion and success in transforming young people’s lives. You’ve long set the pace for the rest of the 16 to 19 sector - higher rates of students going on to university, more creative teaching, stronger leadership, and better targeting for support the most disadvantaged students. You’ve rightly got a great reputation for exactly the sort of motivated and committed staff and students I met this morning - just up the road at Joseph Chamberlain College. So today I want to reaffirm again our commitment to your future, to helping you meet the demands of students, parents, universities and employers. and how now we think there are now opportunities for you, as our reform programme seeks to open up the system. Our country faces a unique combination of challenges today. We are having to face up to the demands of world economic fluctuations, while keeping pace with our international competitors - all with tighter reins on the public finances. And they pose the toughest question for us in Government and for you in education. Are we equipping young people with the skills, knowledge, motivation and aspirations that employers and universities are demanding? And we’ve got to be honest about the answer. The truth is that too many young people still don’t get the right skills and qualifications for work and further study. Too many are staying on in education and training to get qualifications which aren’t valued by higher education and employers. Too many, particularly from the poorest backgrounds, are turned off learning at an early age, fall back and then get left behind - we have almost a million young people under 24 still not in education, employment or training. And overall, we have a growing gap in terms of academic achievement between rich and poor - with only 40 children of the 80,000 on free school meals going on to study at Oxbridge. That’s why we’re keeping the commitment to raise the participation age to 18 by 2015 - so everyone gets the high-quality education and skills they need to thrive in university and the world of work. And sixth form colleges are at the heart of this - making post-16 education as strong as possible and making sure we keep pace with the best systems in the world. Nick said in June that sixth form colleges show why giving principals more autonomy led to better results. He’s right. You show us how having freedoms over pay and conditions means you can the best out of your staff. There has to be far more trust in the frontline. We’ve got no interest in constantly breathing down your neck - micromanaging every budget, every college and every class. But the challenge is that these freedoms will come with stronger accountability - to the young people you teach and the communities you serve. All the international evidence we have seen shows us that this combination of autonomy and accountability is the way that the best-performing educational systems are going. And it’s our approach at the heart of the White Paper. We’ve made a start reforming and freeing up the system. Over the last two decades, vocational and academic qualifications have been forced to have some kind of uneasy equivalence when actually we should just be making sure that they are all high quality. So our White Paper plans will give universities and employers more say over developing A Levels - to keep them robust and rigorous, and to keep pace with the best systems around the world. We have said to Ofqual that we want them to look at our exam qualifications and compare them to the best in the world. We’ve asked Professor Alison Wolf to lead an independent review of vocational education, so colleges and schools have more freedom to offer qualifications that meet higher education’s and the labour market’s demands. We want to cut the bureaucracy around qualifications, including removing the need to offer every single Diploma subject in all schools and colleges. And we want to work with you further, to make them even simpler to teach and award. Secondly, I want to give you more freedom to get on with your job. We’ve already ended Ofsted inspections for outstanding colleges, scrapped legal requirements to do learner surveys, and stopped in-year funding adjustments. principals being forced to go through prescriptive development programmes instead of leading their schools. We’re not saying that consulting with students and working with other colleges is not important - but it’s down to you to call the shots. You run high-quality institutions. You directly engage with their pupils and their parents and play an active role in their local communities. I don’t think that you need to be told by central government how to run yourselves. I know that you are concerned about the future of funding. And we’ve had to take some difficult decisions. The Coalition set itself the toughest of tasks in the Spending Review - balancing urgent action to cut the deficit and protecting education as far as possible. And we secured the best possible deal in the wider economic and political climate - meaning we can commit to full participation to 18 and fund a record 1.6 million places for young people by 2015, including an increase in Apprenticeships. But we’ve also had to be realistic. Some programmes would no longer be affordable in their previous form. That’s for example why we had to end Building Schools for the Future. And it’s also why we’re replacing the EMA, with an increased and better targeted scheme of discretionary funding, where schools and colleges themselves judge how to spend it. We didn’t take this decision lightly. But the evidence seems clear that around nine out of ten students would have gone to college or sixth form regardless of whether or not they got the EMA - leaving it unjustifiable and unsustainable in the current economic climate. Our job now is to make sure we get the new fund right, working with you here today and others over the coming weeks on making sure it helps overcome the hardships faced by the poorest students - including extending its existing remit to cover transport costs. And we’ve had to take other hard decisions. It’s right to ask for even more efficient finances in colleges and schools, so we can afford to fund places young people need in post-16 education. The taxpayer is rightly looking at how every penny is spent. Across the public sector, we all have to take responsibility for investing public funds wisely. We’ve all got to get the best deal possible from our procurement, our back office functions, our overheads, and how we work. And in the face of a very tight capital settlement, we must target investment where it is most needed while cutting out wasteful design and procurement processes. That’s why we set up our independent review to get much better value for money out of all our building programmes, which will report to us shortly. I know that you are anxious to hear about wider capital funding beyond March 2011. I intend to set out our longer-term building plans shortly but I want to reassure you that we have been listening very carefully to your arguments. And I want to reassure you that your needs are being considered in detail and equally alongside all our building investment in Early Years and schools - to make sure there is funding available to meet refurbishment costs and pupil numbers. I also know that one of the biggest concerns you have is to have a fairer funding system so you can compete on a level playing field with school sixth forms. So ahead of the overall 16-to-19 settlement in December and your final allocations next year, I am today reiterating our commitment to end the sharp funding disparities you face. The wider school funding system we’ve inherited is a mess. It is hideously complex, with little transparency or clarity and with historic, unresolved anomalies meaning there are huge disparities across the country for schools with similar intakes. For colleges, the unfairness is particularly stark. You have suffered in comparison with school sixth forms for years - getting £280 per pupil less on average, meaning a difference of over half a million pounds for a medium-to-large college. That’s why yesterday’s White Paper commits us in black-and-white to ending this inequity and bringing all funding into line with the most efficient providers - in other words, with sixth form and FE colleges. It’s also why we have brought in a much clearer funding system, to allocate and target funding, since we got into power - meaning the money actually follows the students you recruit. And it’s why we are giving you direct responsibility for securing your own borrowings, without it getting bogged down and holding up essential investment by having to be cleared with local authorities. We will work with you to get these changes right and to introduce them as carefully as possible. And in return for cutting bureaucracy and helping you compete with schools and general FE colleges, we want you to play a bigger part in our reform programme. Our reforms give you the chance to expand and secure your future. All young people should have access to high-quality sixth forms wherever they live - so we want a far more responsive market. That could mean new sixth form colleges opening where there is a clear demand - something we will always explore in detail. But equally, it could mean you seizing the initiative by partnering or sponsoring new academies and Free Schools, working with the new generation of university technical colleges that Lord Baker is pioneering, or taking the lead in federations with existing schools. You’ve got so much to give your communities. You are among the best, if not the best, providers of A Level education, so I welcome suggestions as to how you can put your experience to work to benefit even more children. Tell us what you think you can do and we will listen. We are facing challenging times in the education sector. Sixth form colleges will always have a central role to play - raising aspirations for all, driving up teaching standards, and making leadership stronger. We’ve got a long way to go but we’ve got the basics right, giving you more of what you want: greater freedoms, stronger qualifications, and fairer funding. And in return, I look forward to working with you over the coming months and years, to help us create a world-class education system and to keep sixth form colleges as the jewel in the 16-to-19 crown.